ICRW’s global advocacy comprises direct policy engagement in global forums such as the United Nations, the Group of 7 (G7), Group of 20 (G20) and other multilateral dialogues. We also conduct trainings to build the capacity of allied organizations working to advance gender equality and women’s rights in the Global South. Finally, our regional offices are engaged in regional policy initiatives and advocacy efforts in Asia and Africa. Currently, ICRW is coordinating a campaign to foster gender equality within the United Nations system, working in close collaboration with leading, feminist thinkers in civil society, philanthropy, and academia as well as current and former U.N. staff. In September 2016, ICRW released a set of recommendations on transformative and practical steps to achieve a more feminist United Nations, as well as a proposed agenda for the Secretary-General’s first hundred days in office. A new partnership was formed under the Feminist U.N. Campaign. 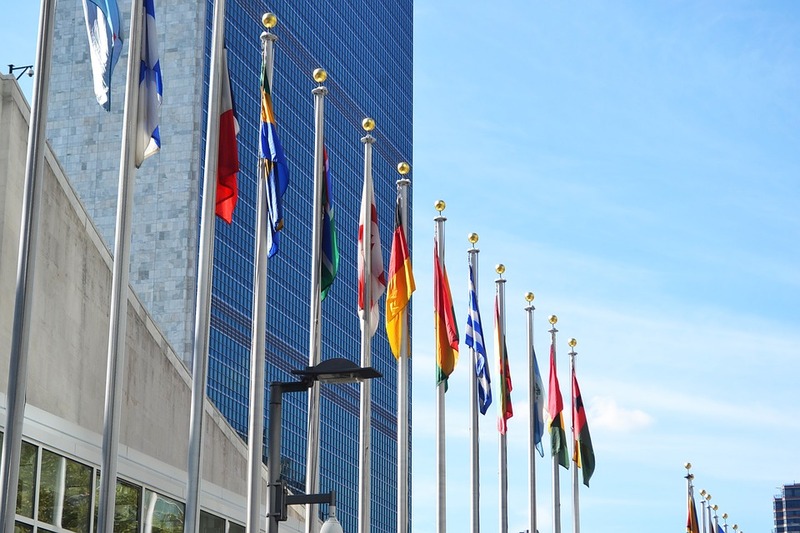 Under this initiative, ICRW and partners continue to focus on ensuring a more feminist United Nations throughout Secretary-General António Guterres’s term, in hopes that gender equality and women’s rights are more consistently and intentionally prioritized throughout the U.N. system under his leadership. Other recent advocacy at the United Nations has included work to ensure various women’s rights issues left out of the Millennium Development Goals were included in their successor framework, the Sustainable Development Goals. Working in coalitions of feminist and women’s rights organizations around the globe, we were successful in our push to ensure issues like gender-based violence, unpaid care work and child marriage were represented in the new-and-improved goal to achieve gender equality and empower all women and girls. ICRW is also a member of Interaction’s G7/G20 Advocacy Alliance. In this capacity, ICRW leads policy teams on women’s rights issues, including most recently women’s economic empowerment. 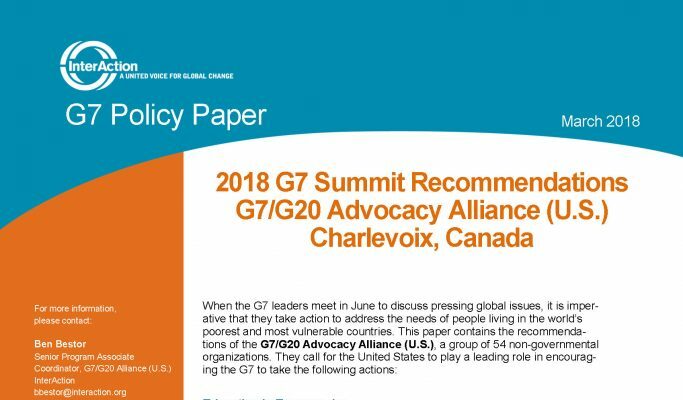 Our recommendations inform advocacy with the U.S. Government as well as other G7 and G20 members. ICRW’s research informs its global advocacy, allowing for policy engagement on issues related to women’s economic empowerment, political participation, sexual and reproductive health, child marriage and more. ICRW also works with local partners to build their capacity for advocacy and policy engagement with governments and international bodies. 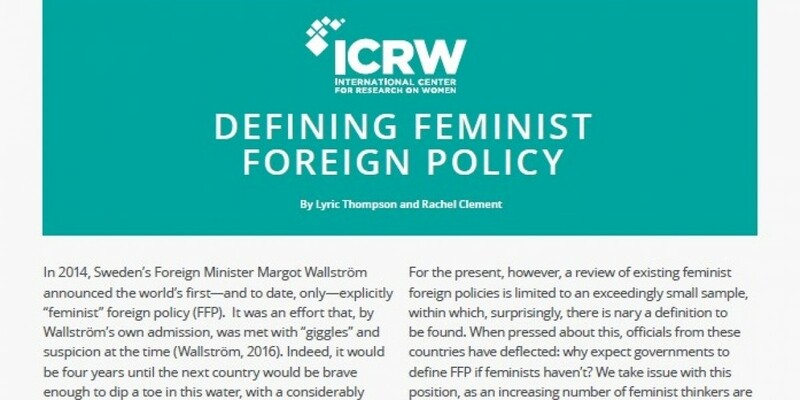 This brief delves into existing approaches to feminist foreign policy, how we define it and our thoughts about what comes next. At the end of Mr. Guterres’s second year in office, the Feminist U.N. Campaign another progress assessment. See how the Secretary-General performed in his second year. 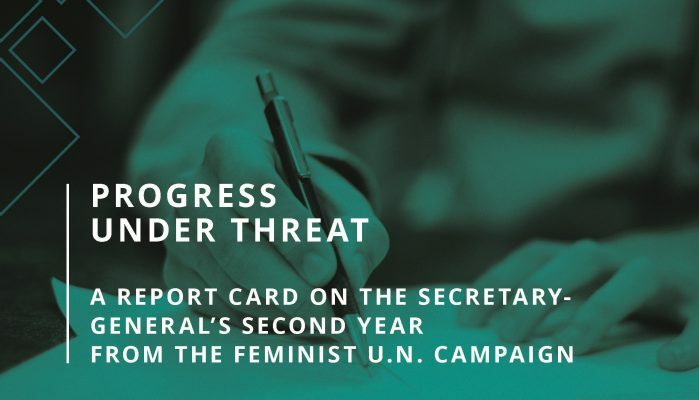 At the end of Mr. Guterres’s first year in office, the Feminist U.N. Campaign conducted a rigorous progress assessment, capturing feedback from academics, feminist civil society as well U.N. staff and watchers around the world. Our report card measures progress against a feminist vision for change. This report card measures Canada’s progress in 2018 against stated goals, and will be used as the baseline to set expectations as we look ahead to France in 2019. The 2018 G7 Policy Paper includes the seven areas of key recommendations for G7 countries to uphold their SDG commitments and address pressing global issues. 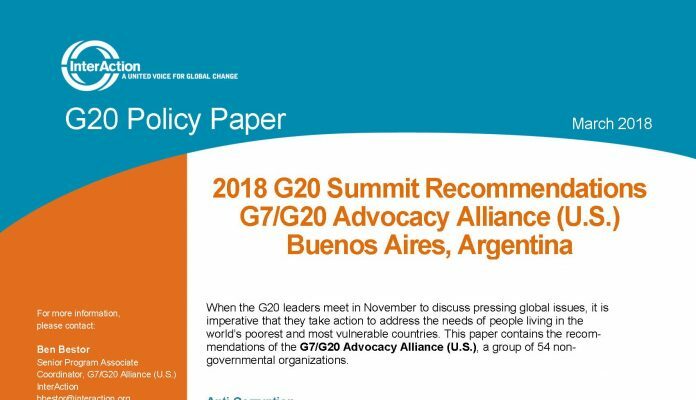 The 2018 G20 Policy Paper includes the seven areas of key recommendations for G20 countries to uphold their SDG commitments and address pressing global issues. 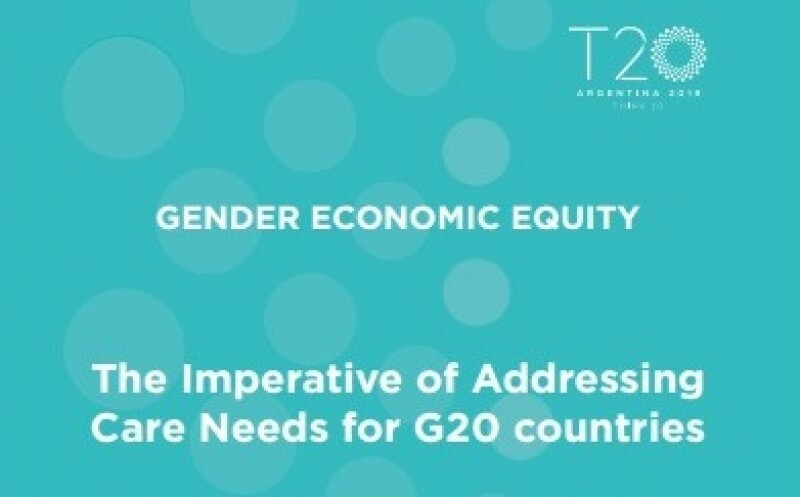 ICRW contributed to this T20 policy brief on care, which outlines the position of a group of research and non-governmental organizations on care needs and care policies in the G20 countries.